There are places that still haunt Lisa K. She’s still coming to terms with the effects of years of abuse, drug addiction and violence which she experienced living in the inner-city of Rochester, New York. She entered her first rehab at the age of 15. From age 19 to 41, Lisa was in and out of institutions, jail and half-way homes. About that same time she was in a terrible car accident that left her with crushed vertebrae and chronic pain that still plagues her. She struggled with addiction and became homeless and destitute. By the time she was 41, she was diagnosed with severe post-traumatic stress disorder. With the help of DePaul’s Supported Housing Program, Lisa moved out of the city and into a carriage house in the suburbs about a year and a half ago. Today, Lisa is nine years sober. She still struggles with anxiety and negative self-talk which she refers to as the “monsters” in her head. She’s found strength in her work creating support groups for women in the city, sharing her story in area prisons, treatment centers and half-way homes, as well as doing one-on-one mentoring with individuals struggling with addiction. She credits God, her environment, her therapy dog and eye movement desensitization and reprocessing, a form of psychotherapy designed to alleviate the distress associated with traumatic memories, with saving her. 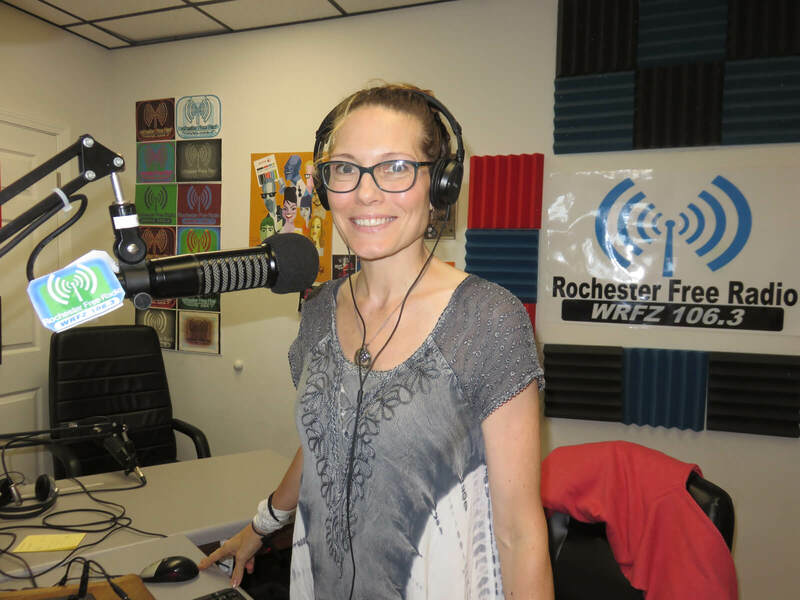 Once a week, she hosts her own two-hour radio show, Transcendental Thursdays, on Rochester Free Radio 106.3 FM. A certified recovery coach, Lisa shares her experiences on-air, as well as guided meditations, calming music and spiritual readings that resonate with her in an effort to cope with all that has happened. Senior Supported Housing Specialist at DePaul’s Upper Falls Square Apartments Krystal Kinder worked with Lisa for over a year through DePaul’s Supported Housing Program in Monroe County. With the help of DePaul’s Supported Housing Program and her own networking skills, she found a home peaceful and tranquil home away from the places that still haunt her. Lisa is an undoubtedly strong and perseverant woman with a strong moral code that guides her in her decisions, Kinder said. Lisa has a 21-year-old daughter, which is a big motivating force in her getting and staying sober. While she’s building a new life, she still has bad days when the seeds of self-doubt sneak in and she’s anxious. On those days, she worries that the street life will call her back. Yoga, meditation, reading the Bible and going to church have helped her with the feelings of shame and paranoia. She’s begun writing down her experiences for a possible book, and hopes to begin working outside the field of addiction in the future. “I’m learning how to enjoy life, how to be more grateful and how to move away from the past,” she said.